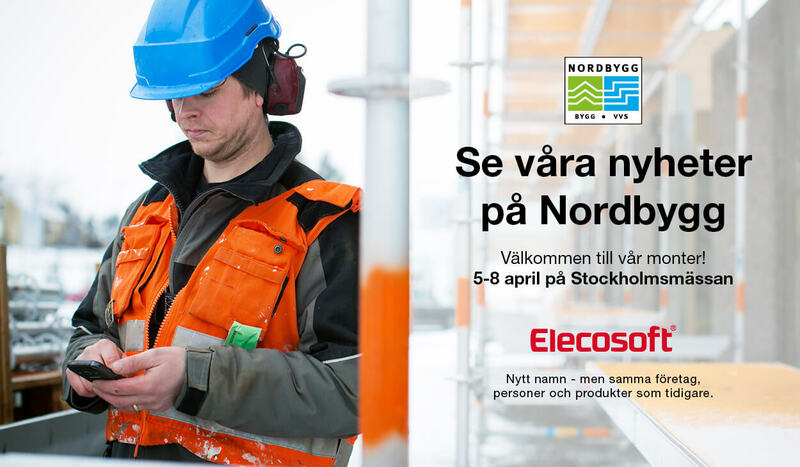 Once again it’s time for Nordbygg – The biggest fair for construction industry in Sweden. As usual, we will be there to show our software for the construction industry. In addition to upgrades and feature enhancements in the programs we have three major news show during the fair. You are welcome to pre-register your interest, or visit us spontaneously during the fair in any of our stands (A09:01 & C03:12) . If your not able to visit the fair we’re happy to give you a demo at a different time. Please send us an email at info@elecosoft.se if youre interested in any of our software.